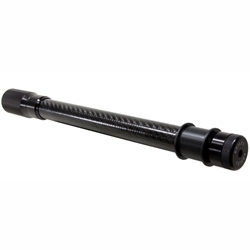 Note: The clamp spacer position on the extension is good for any barrel 26 inches or longer. Shorter barrels will require custom positioning of the spacer. Plus 6 shots - 13.000"